Box of white roses. 【SLAVIC GIRLS (WOMEN)】, ukraine girls your brides, russian girl for marriage..
White rose is a symbol of sincere love. In all times, these flowers were considered a symbol of innocence and purity. As a rule, white roses are given to convey sincere love. They are the exact opposite of red roses, symbolizing passion and unrestrained hot feelings. If you want to be original and romantic, this gift is a perfect choice for you! 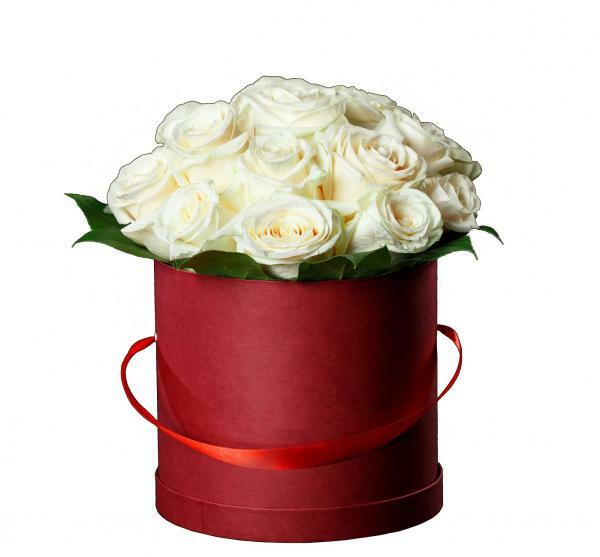 The gift consists of 15 white roses placed in a round red box.